We love our live oaks in the South, but most of us do not have the room for such a large tree. A better choice for most landscapes is the willow oak (Quercus phellos). This oak is a fast-growing native oak that fits in urban landscapes better than live oak. 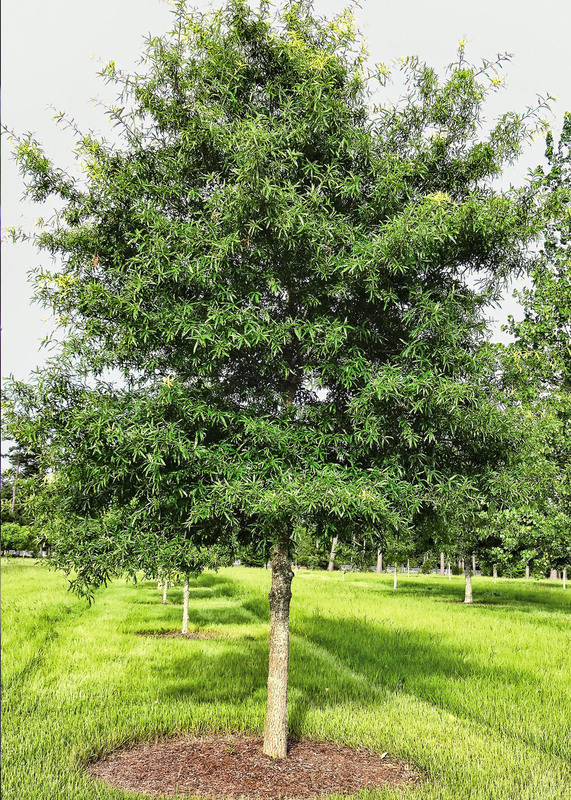 Willow oak is a deciduous, native tree that has a upright, oval growth habit. It is an excellent shade tree that has a fast rate of growth for an oak. The small acorns are not a bother around the house or patio and are eaten by wildlife. Narrow, willow-shaped leaves are neat when dropped. Adaptable to a wide range of soil conditions, this Louisiana Super Plant makes an excellent shade tree for use in the urban landscape.